The Project “Arts en Scène et en Saisons” (art on stage and in seasons) is built on the wish of cultural exchanges between Europe and South-America. 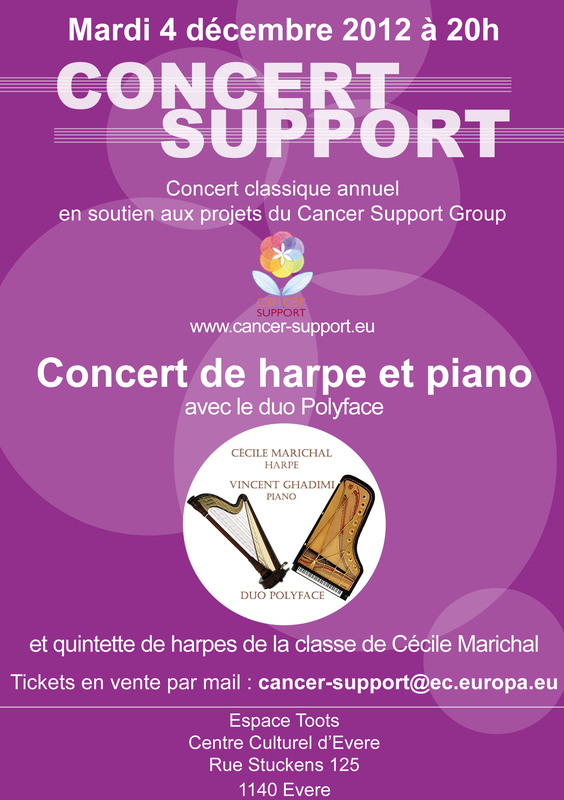 Brussels, as a cosmopolitan City, is an ideal location to allow for such a meeting of cultural paths. The project is conceived as a multicultural bridge opened on sharing and diversity. The programme includes, in a first part, narrations in music and images speaking about the planet, the seven arts and science around the four elements and the seasons and their relationships with humans. 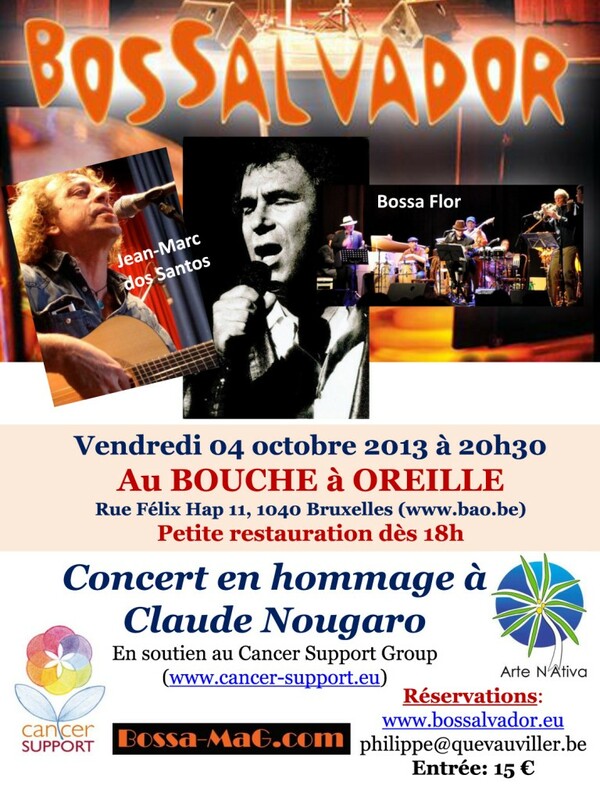 Each event will honour one country through light meals and concert, theater or dance. 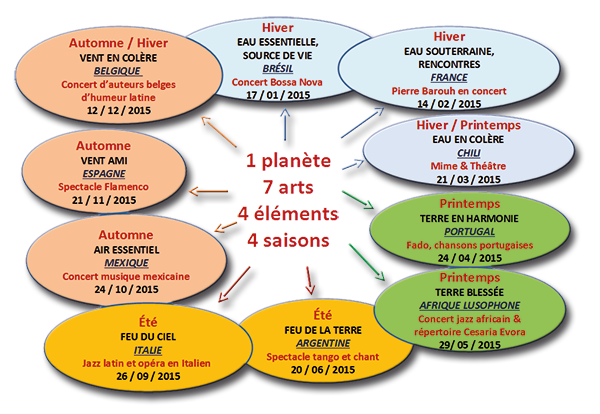 The diagramme below gives an overview of the round of events planned for the 2015 season. 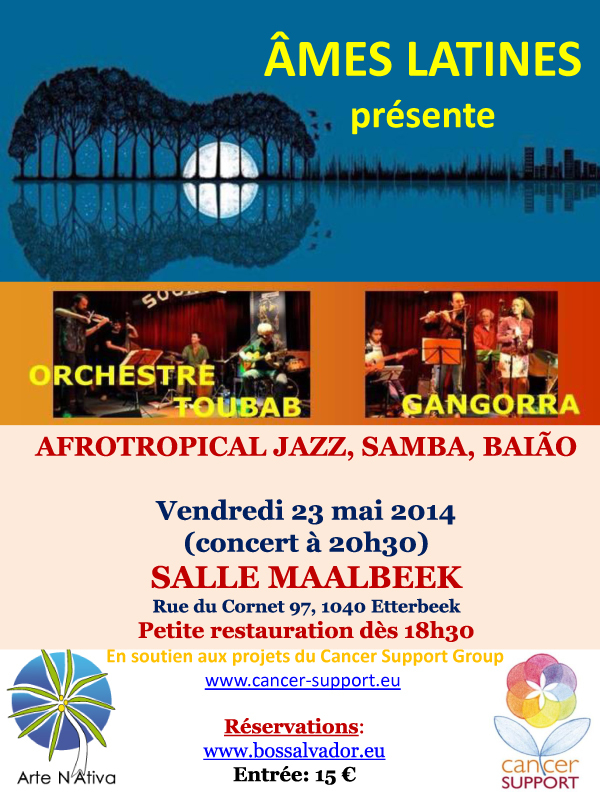 The 5th concert of the Âmes Latines programme (charity concerts in support of the Cancer Support Group) will mix on Friday 23rd May Afrotropical Jazz, Samba, Baião with the Orchestre TOUBAB and the GANGORRA band. 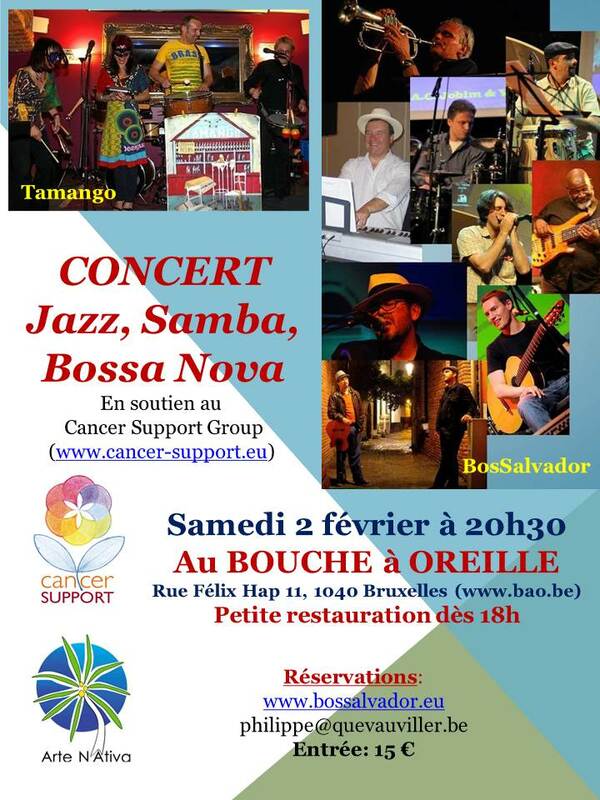 NEW VENUE: Maalbeek Hall rue du Cornet 97, 1040 Etterbeek. This concert will support through Cancer Support Group in particular the project of movie “It is their story” in support of women suffering from breast cancer. 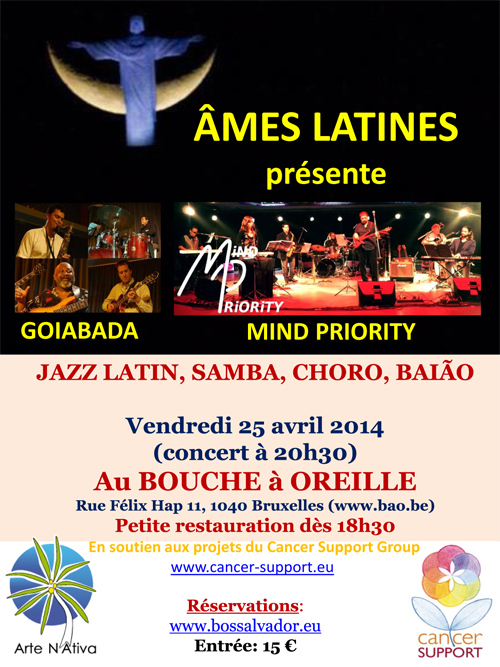 The Âmes Latines programme (concerts in support of the Cancer Support Group) goes on with a Brazilian evening mixing Latin Jazz, Samba, Choro and Baião on the 25th April with the GOIABADA and MIND PRIORITY bands. 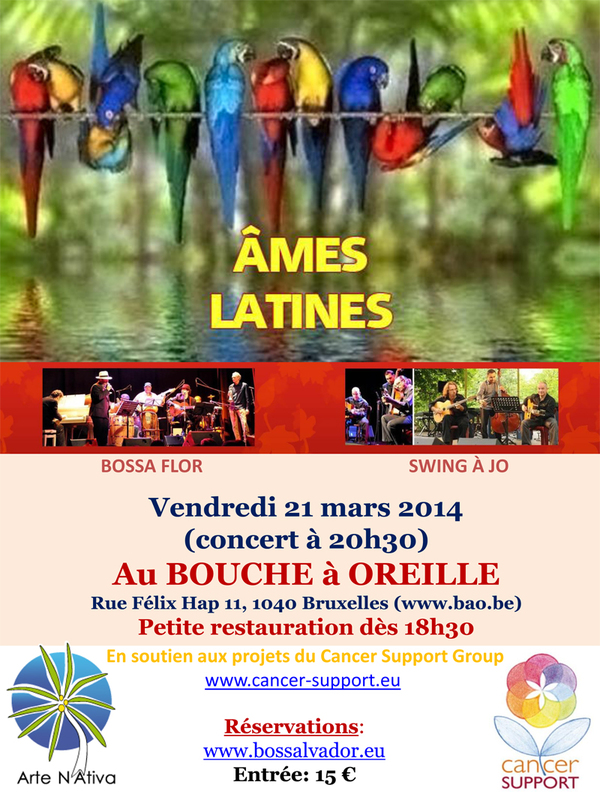 Bossa Nova (themes of Antonio Carlos Jobim) and Gipsy Jazz on the 21st March with BOSSA FLOR (led by Philippe Quevauviller, DG ENTR) and SWING À JO (led by Gilles Boujo, DG DEVCO). 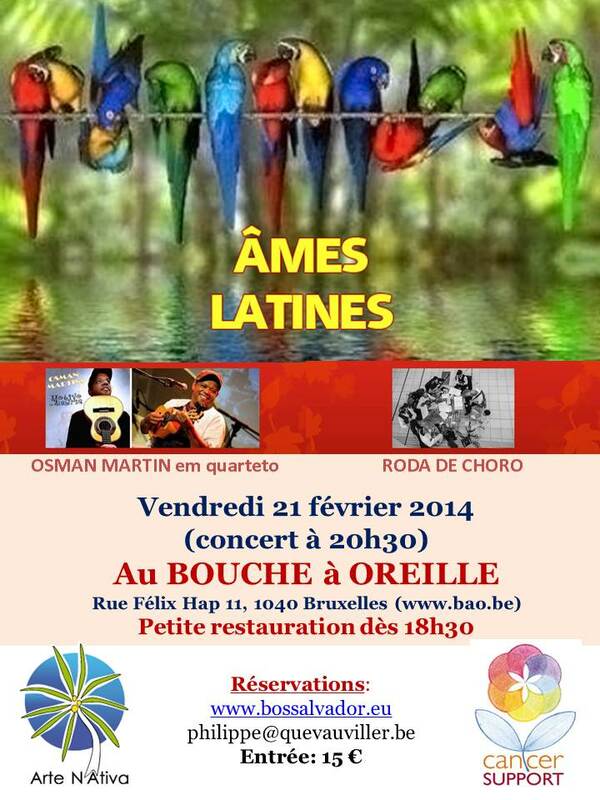 8 musicians in 2 bands: Osman Martin em Quartero & Roda de Choro will offer us a latino musical & dancing night. What else could we need? Des tapas brésiliennes seront proposées (réservations recommandées) à partir de 18h00 par l’association Arte N’Ativa. Esther Denis, Eugénie De Norre, Ysaline Lentze, Suzanne Chabert, Emilie Sauvage. 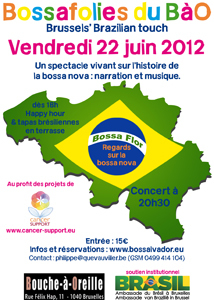 Un spectacle vivant sur l’histoire de la bossa nova : narration et musique.